This week David talks about what running a 10k is actually like. Before we get started on this week’s training plan, allow me a slight indulgence to update you on some running progress within my family. It follows on from my mention of my daughter’s ankle injury a couple of weeks ago and how upset she was when it meant she had to miss an important race. 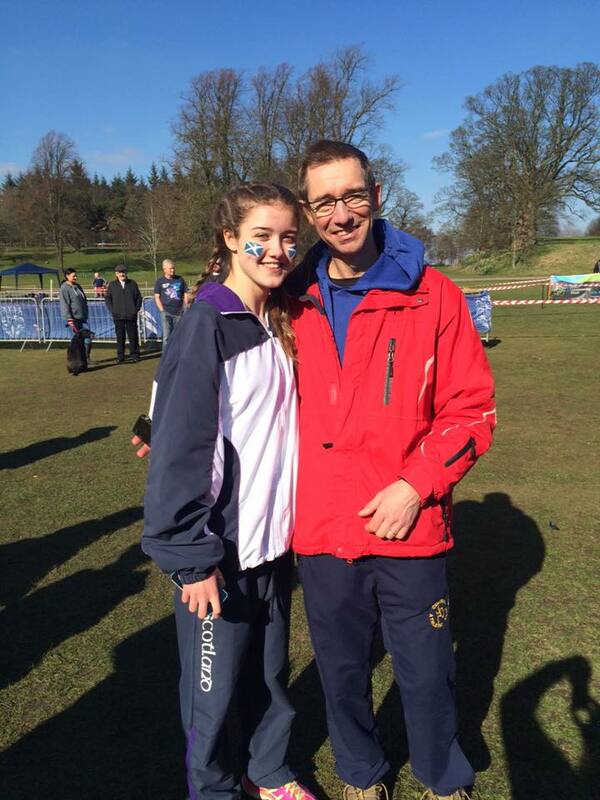 The good news is she made a great recovery and has now been picked to run for Scotland in a schools cross country race against England, Wales and Ireland so we are all very proud of her. Talk of success is all well and good but long before there’s any kind of achievement there’s an awful lot of hard work and commitment first and that brings me nicely to the Mulberry Bush Montessori Balfron 10k and the important business of readying yourself for it. The 10k or 6.2 miles or more accurately 6 miles 376yd 0ft 4 inches in old money, is a distance that is easily achievable for beginners. It is a distance that mixes speed with endurance but isn’t gruelling like the longer distance of a half or full marathon. What I like about 10k races is that you line up at the start with friends, complete strangers and champions. You are in there in the mix with lots of great banter, excitement and nervous energy. That feel-good factor continues during the race as there’s the encouragement of fellow runners pushing each other on and the cheers from the spectators and marshals. As you approach the finish your legs and lungs burn but you are buoyed up by cheering supporters shouting you on for the final few yards. You almost feel like you’ve run for Scotland. On that final straight you might have a fellow runner chasing you to the line and that’s when you suddenly find you’ve a little bit left in the tank. Remember to dip as you cross the line and smile. After the race you relax, remembering to warm down, enjoy the chat, and the goodie bag. I might have forgotten to mention that the Balfron 10k course is not the most level. By that I mean, there’s hills, a fair few of them. With that in mind keep your training going by trying to gradually progress the distance of your longer run. For example, if you have been running 4 miles increase it by a mile per week. Another good session is to do hill repetitions. You could find a hill 100-200m long and not too steep and run hard to the top six times or find a shorter steeper hill say 100m. I did a session with my daughter recently where we mixed up the two hills and did four of each. When I say together I mean I tried to keep up! I hope I’ve offered some help and inspiration for this week’s training, good luck and enjoy being out in the fresh air.